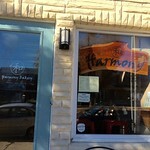 Harmony Bakery is a gluten-free, vegan cafe that provides baked goods as well as savory items such as tarts, soups, and flat bread. 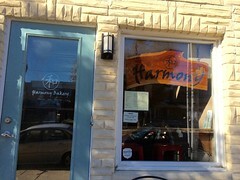 The bakery is locally sourced, with multiple menu items made from ingredients from nearby farmers. A few seating areas are offered for in-dining, and there are also outdoor seating along the shop front.